Big firms are great at what they do, said One LLP co-founder Chris Arledge, but they price themselves out of a lot of case work with large staffs, high billable rates and other ballooning costs. “We wanted to fill that void,” Arledge said. 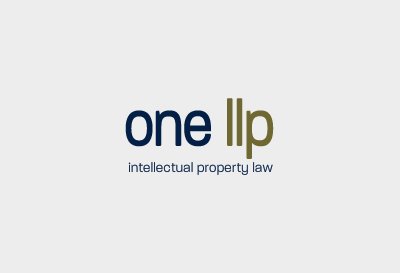 One LLP is a boutique intellectual property law firm with a staff of less than 30 attorneys who have worked at some of the nation’s largest and most prestigious firms. Together they handle all facets of intellectual property law including trademark, copyright, patent, licensing and transaction and intellectual property counseling. With their combined experience, they have navigated decades of high-profile intellectual disputes and transactions for companies ranging from Fortune 500 businesses to individuals. Their clients have included Kelly Blue Book, Pacific Sunwear, University of Southern California, New York Times bestseller Chester Elton, Broadcom, Abbot Labs and QLogic. Partner Nate Dilger credited the firm’s hands-off approach – which includes allowing attorneys to set their own billing rates – with their survival and growth even while other companies were closing their doors. “Having this niche allowed us to distinguish ourselves from a crowded market,” Dilger said. Currently the firm is representing Harold Lloyd Entertainment Inc. in protecting the rights to his famed work as a silent film actor in his movie “Safety Last!” made in 1923. The lawsuit involves the use of the iconic image of a man dangling from a clock in a massive installation at the Tom Bradley International Terminal at the Los Angeles International Airport. In September, the firm prevailed in the 9th U.S. Circuit Court of Appeals with a ruling siding with their client, Betty Paige Clothing, after a competitor sued them claiming their website and advertising materials were using trademarks that belonged to the competitor. One LLP proved the competitor didn’t provide enough evidence that would allow them to recover lost profits. The court ordered a new trial, with limitation on what the other side could present, but the firm asked the court to deny any monetary relief and the Ninth Circuit affirmed that as well. After watching a five-member team that began 15 years ago grow into the nearly 30 attorneys the firm employs today, Arledge said he suspects the firm will again double its size in the next five years. “What we are offering is something that a lot of lawyers, especially lawyers at big firms, are looking for,” he said.